94-year-old female patient underwent Bilateral Total Hip Arthroplasty due to severe pain and disability from osteoarthritis (OA). A pelvic CT was requested for post-surgery evaluation. Patients with bilateral hip replacements represent a challenge for CT examinations due to the metal implants causing beam hardening effects and photon starvation resulting in severe streak artifacts. A 0.5 mm wide volume acquisition with SUREExposure, AIDR 3D, Adaptive Iterative Dose Reduction and SEMAR, Single Energy Metal Artifact Reduction, was performed on the Aquilion ONE Vision, 320-detector row CT scanner. 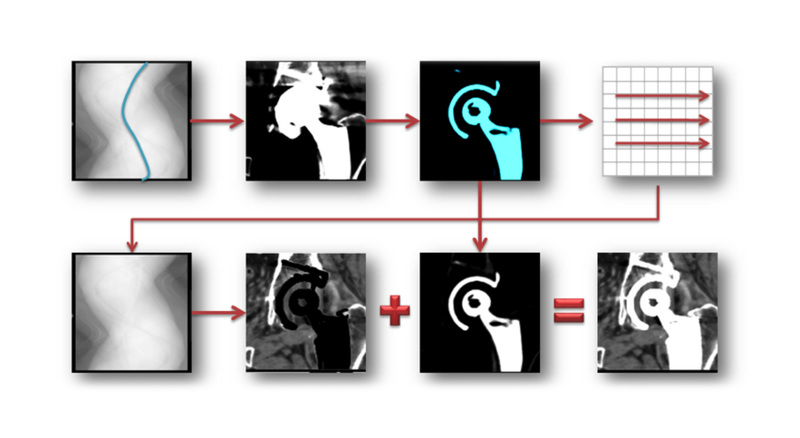 SEMAR was turned on the scan protocol generating automatic reconstruction. 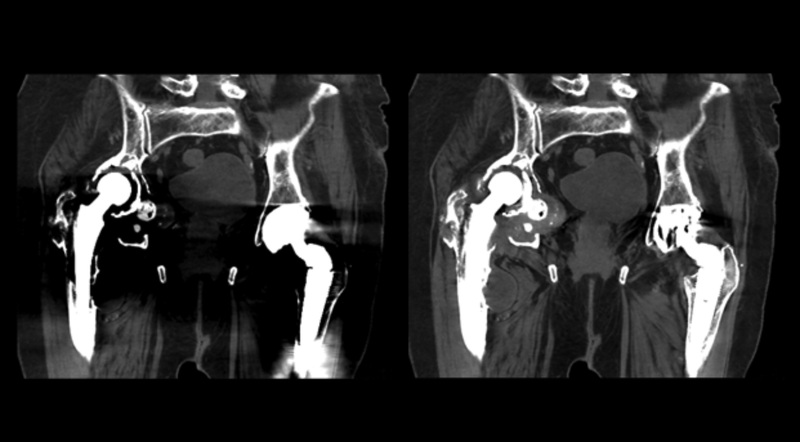 With SEMAR technology, the pelvic CT coronal view demonstrated metal artifact reduction allowing physicians to evaluate the prosthesis positioning, and the surrounding tissues in greater detail. The soft tissue mass can be seen adjacent to the right lesser trochanter with SEMAR, providing better diagnostic imaging for the physician to ensure a thorough post-surgery evaluation. SEMAR provides clear visualization of the soft tissue and bone structures surrounding metallic implants, allowing fully diagnostic evaluation and overall improved patient care. Bilateral Hip Replacement Evaluation with SEMAR. Appl Radiol.